Sensa is a supplement which you sprinkle on food that claims it can help you lose weight by suppressing your appetite. 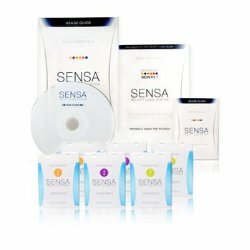 Buy Sensa Weight Loss System. With your help we can reach more people and let them know about Sensa Weight Loss System whether this product works or not. I have sinus problems, allergies, so I went with the men's formula. Bought it locally in a 2 month kit and it is working great. Down 3 pounds in 2 weeks. I tried the product and won up in the doctor's office with severe headaches and pressure on the side of my head. Doctor said to stop using product and the pain went away. I would not recommend this product. This product may work for some, but I did not see any results at all. It claims to work by tricking your sense of smell. I have sinus issues and therefore my sense of smell is diminished. I do not know how it worked for others ... but for me ... I spent a lot of money and got nothing! !